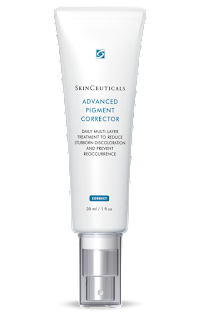 The Skinceuticals Pigment balancing masque contains a mixture of a pigment balancing solution containing 40% Glycolic acid and, 27% Vitamin C masque, when mixed up this solution become a peel which is specifically designed to brighten pigmented skin. 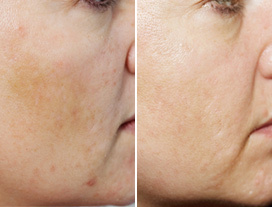 This treatment is effective for skin with a mottled appearance or uneven skin tone. This is a stronger superficial peel with a combination of skin brightening, anti-inflammatory and peeling agents to stimulate new skin cell growth and reveal healthy skin below. Contains a high potency Vitamin C and Embilac to lighten and suppress excess pigment production. (Masque does not contain hydroquinone (HQ) but has similar effectiveness to prescription strength 4% HQ). For best results use in conjunction with the Advanced Pigment. What does the Pigment Balancing Masque accomplish? Can the Pigment Balancing Masque be performed on skin of colour? Yes. 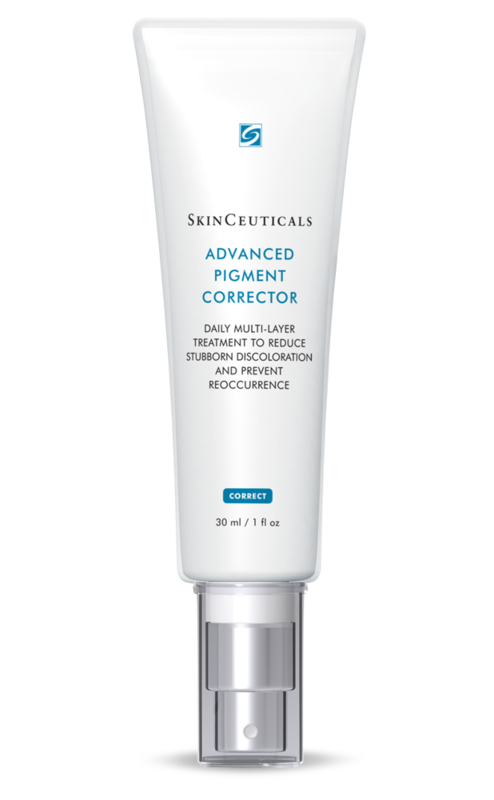 However, SkinCeuticals recommends using the Pigment Balancing Masque on darker skin patient no more frequently than once a month. • Clients should return every 2 weeks for a Pigment Balancing Masque Treatment during the corrective stage of their program. • A maximum of 2 series of 6 Pigment Balancing Masque Treatments are recommended within a one-year period with a three-month break between each series. • To obtain optimal results, a patient must be on an integrated skincare program that includes a customized home-care program, clinical procedures, and professional treatments.